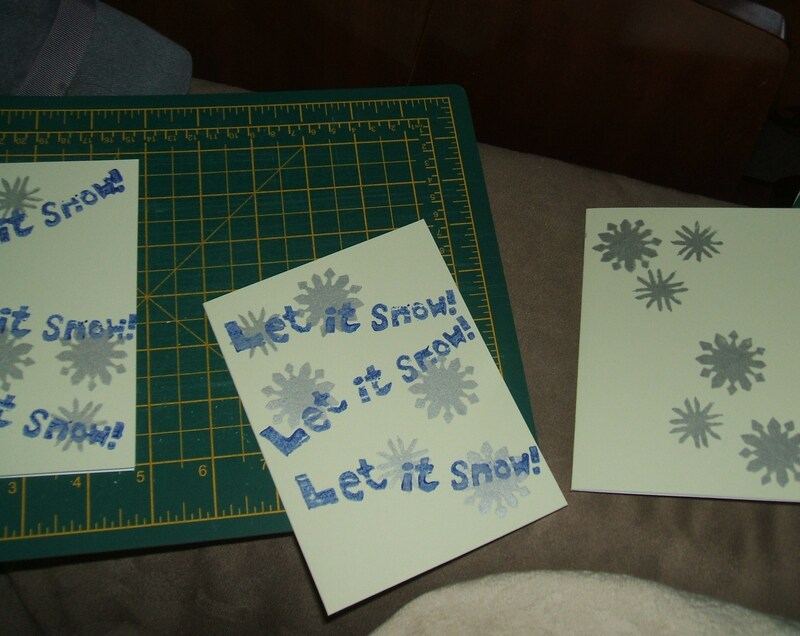 As the craft fair is next Sunday, last weekend I took a few extra days so I could prepare without panicking. I set up a little ‘activity centre’, as my husband called it, and got to work. 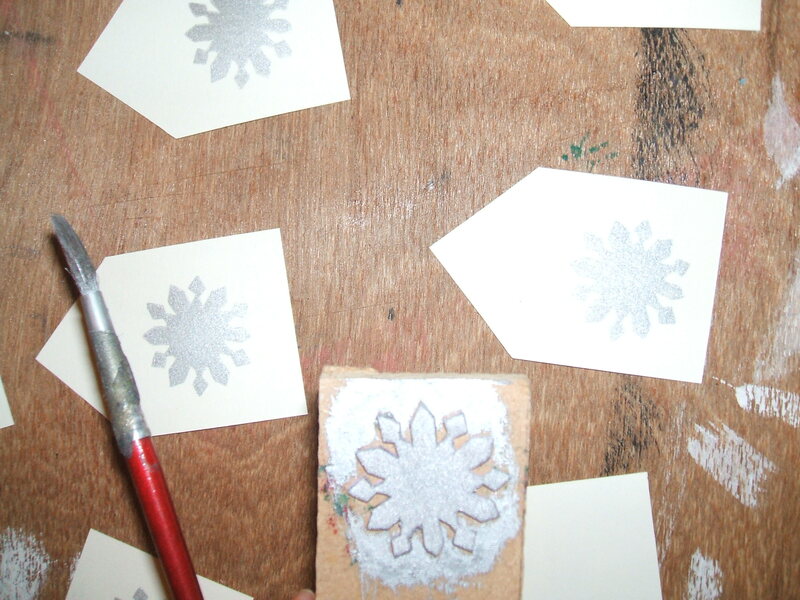 Basically I spent 4 days surrounded by bits of paper, card, envelopes, inks, pens, more paper, there was a ruler there somewhere (never to be found when needed), some silver thread, stamps and stencils, paint, and good old PVA glue. I reckon I made good headway though, mostly my stock for the Christmas Craft Fair is done! 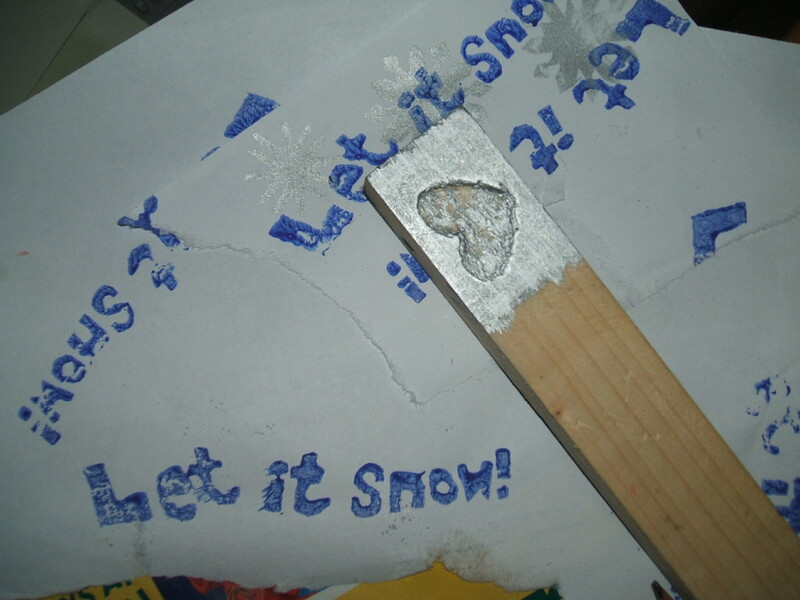 This entry was posted in Craft and tagged Christmas, Craft Fair. Bookmark the permalink. Post a comment or leave a trackback: Trackback URL. 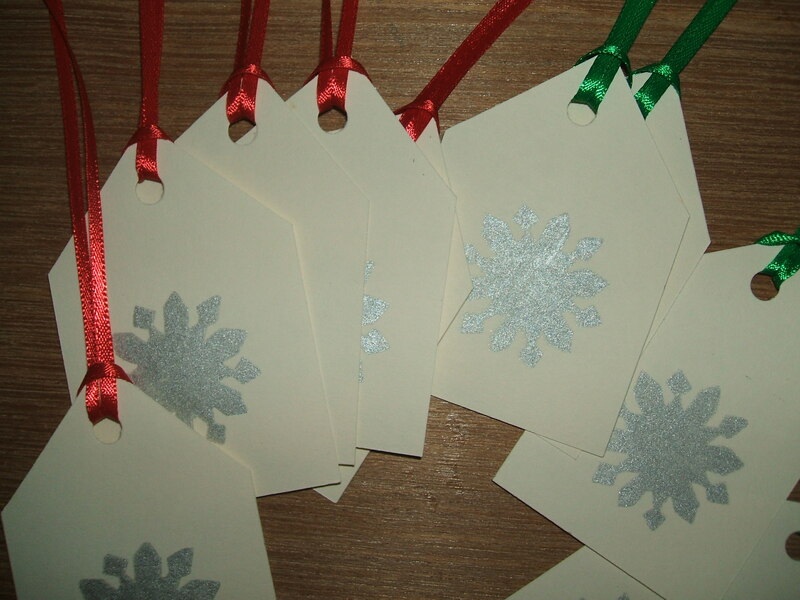 Love the snowflake gift tags, do you have any left over? Can I order some if you do please? Yes! 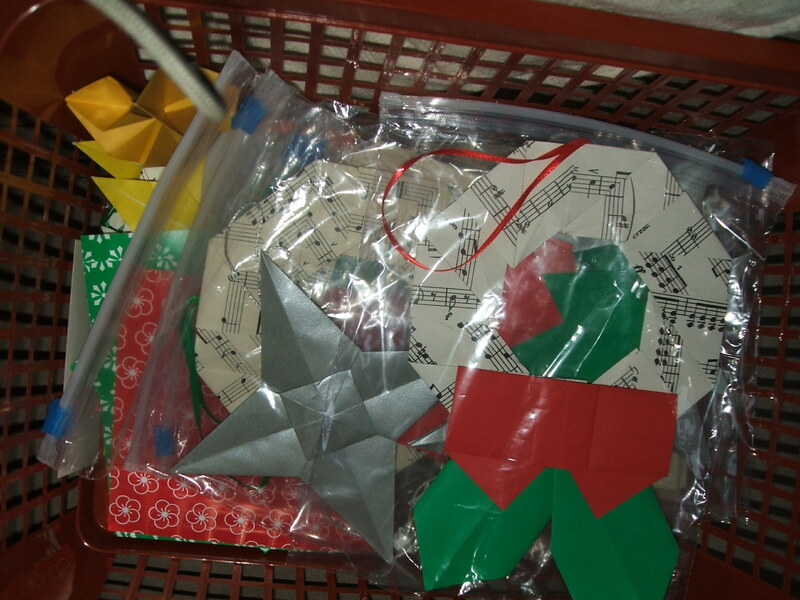 All the origami ones sold (except the candy canes, randomly- one of my favourites!) 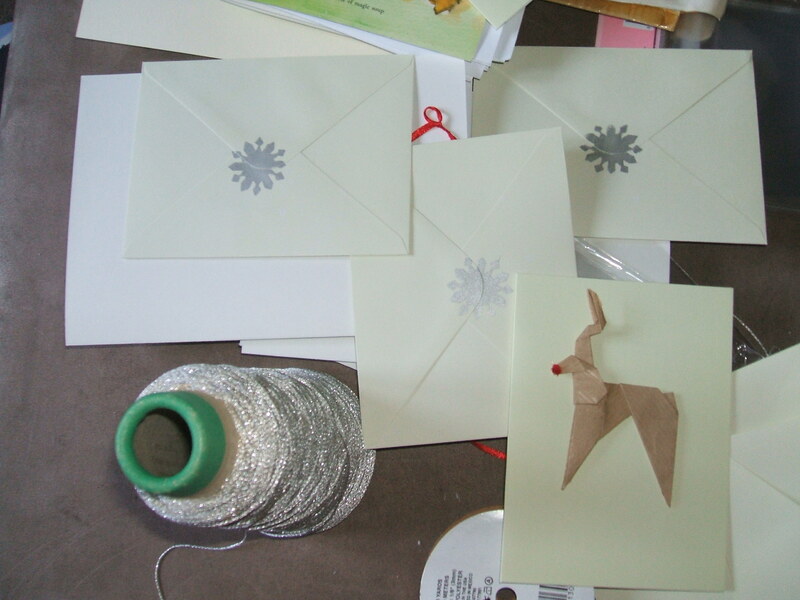 but I have a few packs of snowflake ones left.